HDTV Supplys WolfPack 4K HDMI over a single CAT5/6 Cable Extender Set transmits an HDMI 1.4 signal w/RS232 & 3D over one CAT5 cable over 300 feet using HDBaseT technology. It also can send a 4K signal upwards of 200 feet. The HDMI extender also has Power-Over-Ethernet (POE) allowing only one AC adapter to be needed. The WolfPack HDMI to CAT5 HDBaseT Adapter set are a twisted pair transmitter and receiver for HDMI, 100BaseT Ethernet, bidirectional RS-232 and IR signals. The transmitter converts HDMI, RS-232 and IR input signals to an HDBaseT twisted pair signal. The included receiver converts the HDBaseT signal back to HMDI, RS-232 and IR signals. NOTE: HDTV Supplys implementation of the HDBaseT technology and this product adds virtually no latency to the signal, less than 10 microseconds over 330 feet of CATx cable. At 100 feet you are taking about 3 microseconds. This means, for example, in a church or auditorium, the speakers lips are in synch with the image on all the screens and for optimal video performance use our WolfPack HDMI 2.0b and HDCP 2.2 cables with this product. Bi-directional IR to control the source device as well as turn off the TV. One SEND & RECEIVE pair are a fully functional module and auto-adjust means there is no settings needed. Uses a single UTP/STP LAN cable (CAT-5E/6) to substitute for a long HDMI cable to achieve a long HDMI audio and video transmission. 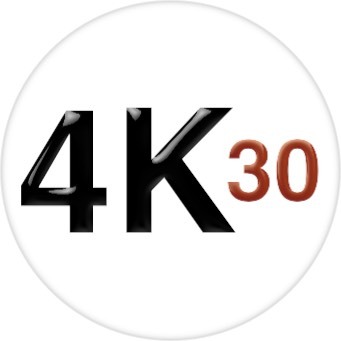 Transmission distance reaches up to 100 meters under the video format of 1080p. RS232 Port for firmware update or RS232 control signal transmission. The length of HDMI cable is fixed and unchangeable after it is produced. Because the HDMI connector can only be soldered or terminated by professional worker in factory, the users can not reduce or increase by themselves. However CAT-5E/6E cables are readily available everywhere and be processed easily by the user or installer. By using HDMI over a single CAT5/6 Cable Extender Set, the transmission distance for 1080p can reach 100 meters. For general HDMI cables, cables must be have built-in boosters at that length. This HDMI over a single CAT5/6 Cable Extender Set has the ability of buffering and amplifying. Series connection of the HDMI over a single CAT5/6 Cable Extender Set achieves long distance transmission of HDMI signal. When two pairs or more HDMI over a single CAT5/6 Cable Extender Sets are stacked together, they can be used to create a larger distribution (Daisy chained.) network. The IR system could control the sources from the sinks or control the sinks the from sources. Why not buy this WolfPack HDMI over a single CAT5/6 Cable Extender HDBaseT Set today? POE Designed: By utilizing POE technology both HDMI audio and video signals and power can be sent to a device via standard Cat5e/6/6a cabling. This means you do not need to install a power outlet at the device location and you can use readily available, relatively low cost Ethernet cabling with this this SlimLine 3/4" HDMI Extender to 330′ w/POE. 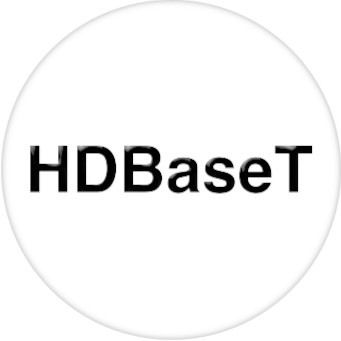 HDBaseT is ten times less expensive and more efficient than HDMI, because it uses standard network cables (CAT-5e and CAT-6) for HDBaseT data transport and CAT-5e cable costs less than a HDMI cable. For the price of a 2 meters HDMI cable, you can get 20 meters of CAT-5e cable. In addition, the HDBaseT allows efficient transfer for up to 100 meters, where the HDMI already shows some problems if the cable is more than 5 meters. In addition, HDBaseT specifications show a sufficient bandwidth to transmit a HD 1080p 3D, 4K (4096 x 2048 pixels) video stream, multichannel audio and even electricity (up to 100 Watts). If this WolfPack HDBaseT extender doesn't meet your needs see our HDMI over CAT5e/6 comparison spreadsheet for other HDMI to CAT5e/6 extenders with different features or call us right now at 800-841-9238 to discuss your requirements. 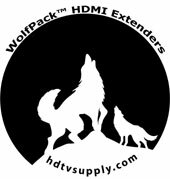 HDTV Supply includes a 1 Year Limited Warranty on this WolfPack HDMI via 1-CAT5 Extender. The warranty states that (a) its products ( will perform substantially in accordance with the accompanying written materials for a period of 1 year from the date of receipt and (b) that the Product will be free from defects in materials & workmanship under normal use & service for a period of 1 year. In order to get a warranty replacement for a defective item, HDTV Supplys Support Team will verify the product is eligible for warranty. An RMA number will then be issued. Shipped replacements will be in like new conditions, tested and all components included. HDTV Supply also sells a 3 and 5 Year Extended Warranty for this HDMI via 1-CAT5 Extender. Please go to Extended Warranties or see the above Options to purchase it.